Hudson's Bay has a Flash Sale today on luggage! 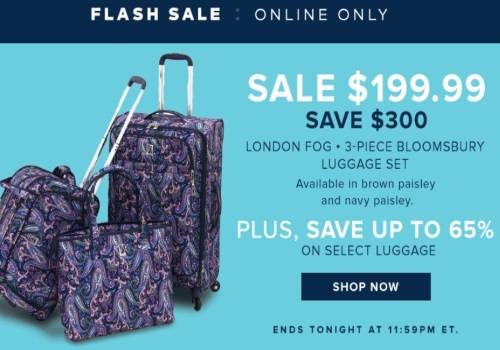 Save $300 off on London Fog 3-piece Bloomsbury Luggage Set now on sale for $199.99. Plus save up to 65% off on other select luggage.